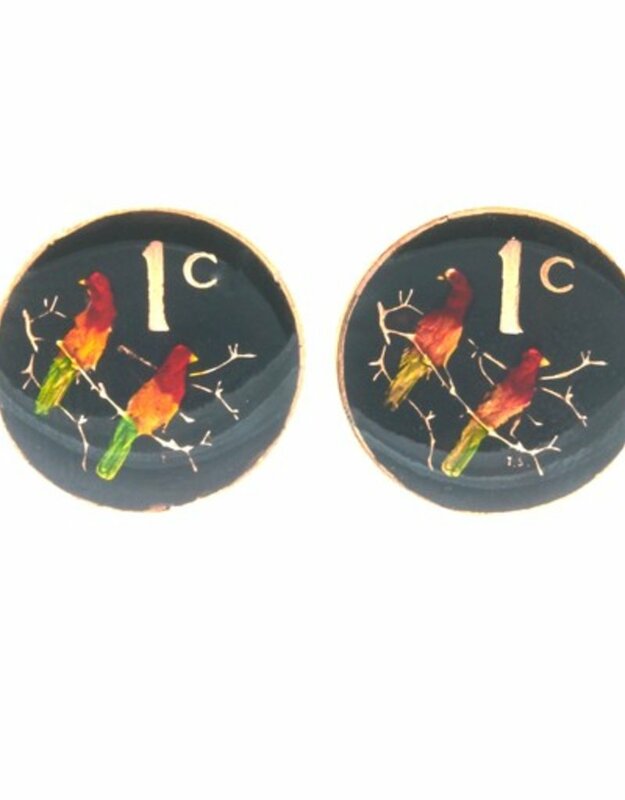 Hand enameled coin cufflinks - These beautiful hand-painted coins continue a very old art from a family of artists originating in Wales. 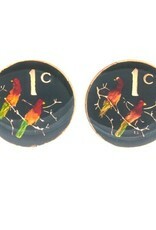 Each coin is painted by hand and fired after the application of each color. Beacause the enamels are mixed individually no two coins are exactly identical. The process for each coin varies, some taking as long as two days to complete. In the final stage, in order to protect the enamel the artists apply a plastic compound, which adds depth and luster.